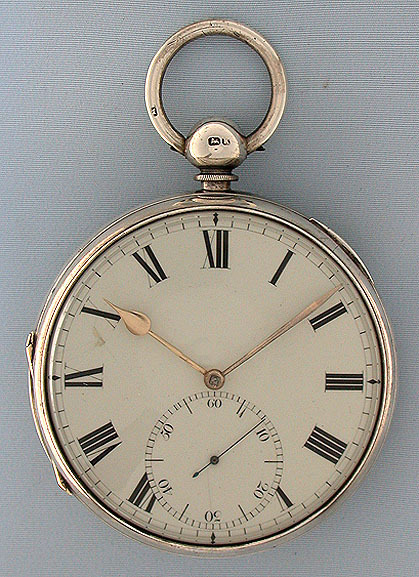 Fine and rare unusually large French silver detent chronometer circa 1842. 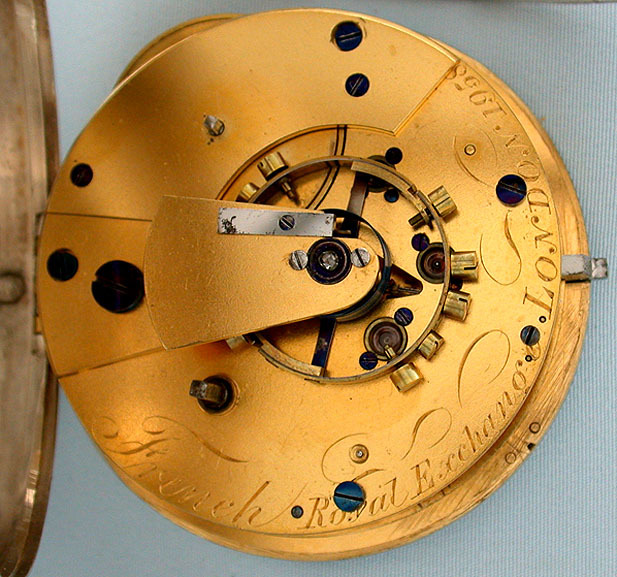 Gill full plate 11 jewel movement with helical hairspring and diamond cap jewel. 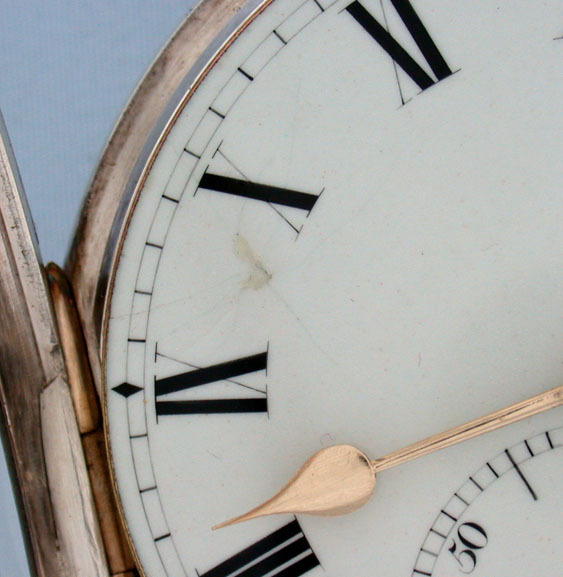 The movement made by Pennington and with his compensation Repaired white enamel dial with black numerals and gold hands. 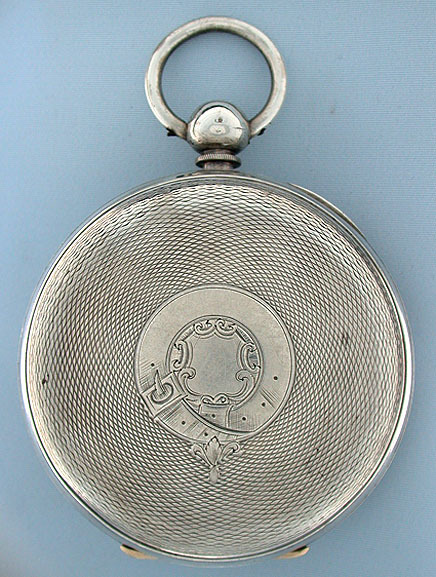 Silver engine turned case.